Tent, hiking boots and two weeks of pure freedom! Pack everything you need for your trip in the Mens Denali 65 Rucksack. The smaller model in the Denali series still has ample room for all the gear you need on multi-day trips, from your tent to your provisions. 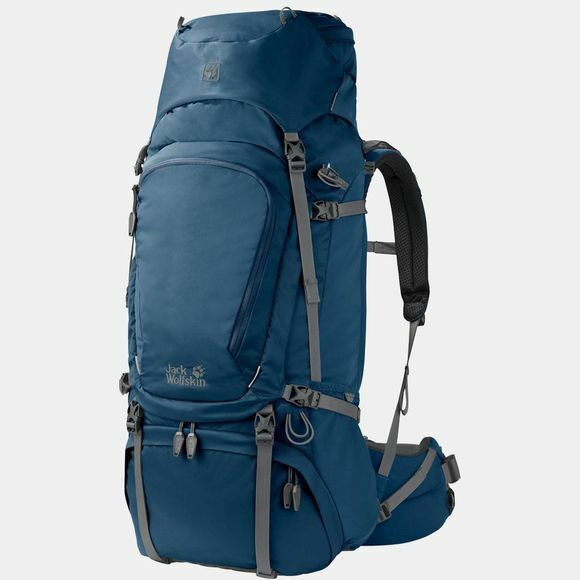 The classic trekking packs in the Denali series are suitable for everything from trekking through the highlands of Bolivia to round-the-world trips. They're fully-featured, very comfortable to carry and have loads of room for your kit. Our X-Transition back system is specially designed for extended treks with lots of gear. It incorporates highly flexible aluminium stabilising rods and has thick padding on the back. The lid compartment can be detached and used as a shoulder bag for single-day excursions and side-trips. The detailing is comprehensive and includes a front compartment, a sleeping bag compartment, side pockets and a bottle holster.